We all know about Facebook, Twitter and even Instagram, and hopefully your small business is on at least one of these social media outlets. However, there’s one platform that can sometimes be overlooked, but is the most beneficial to your professional brand: LinkedIn. LinkedIn provides a valuable tool for individuals and businesses to connect, generate leads and build their brand. It allows your company to network current and potential employees, as well as interact with other businesses in your field and beyond. 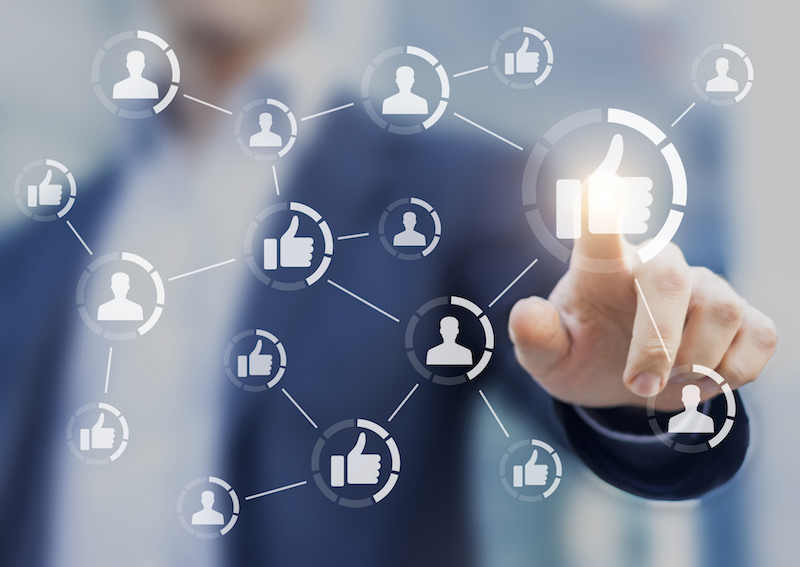 If you want to grow your business and market through online communication, here are a few reasons why you should implement LinkedIn into your social media strategy. Other companies are using LinkedIn. First and foremost, your business should be on LinkedIn because other companies are as well. According to the 2015 State of Marketing report, LinkedIn is the third most commonly used social network for business owners. 62% of business owners reported they use the platform, and an additional 22% said they intended to use it in 2016. For business to business marketers especially, LinkedIn has surpassed Facebook as the #1 most important and used social media platform. If your company wants to tap into a wide-reaching number of businesses and establish potential networking relationships, then LinkedIn is the way to get your name out there. Employees can find you on LinkedIn. According to Forbes, over the past five years, the use of social professional networking sites for recruiting has exploded. According to LinkedIn itself, these sites have seen a 73% increase in job recruitment usage, compared to only a 15% increase for internet job boards and a 16% decrease for staffing agencies. For employees currently in the job market, LinkedIn is the place to go in search of new opportunities. If your business is on the hunt for fresh new talent—or even if you just want to throw your name into the hat—LinkedIn is where you need to be. Your brand is more visible on LinkedIn. At the very least, LinkedIn provides another outlet for your brand to be visible on. Logistically, LinkedIn helps to increase your business search visibility online. An optimized LinkedIn company page increases your chances of ranking in Google’s search engine, which boosts your business’s website and drives more lead generation. Businesses, potential employees and customers are easily able to find your business on LinkedIn, which showcases your brand and can even promote your products or services. You have a professional outlet on LinkedIn. More than any other social networking outlet, LinkedIn gives your business a clean, crisp and professional image. While consistently updating your website can be daunting, sharing mission-driven content on LinkedIn can easily become a part of your social media marketing strategy. Post news updates, share blog entries and even promote sales at your location, all through a professional and engaging lens—with specifically targeted consumers. If your small business really wants to upgrade its marketing performance, jump into LinkedIn to see just how far social networking can take you. Grow your company and promote your brand visibility with a professional, optimized LinkedIn account.